Posted on November 24, 2018 by Mike Sonnenberg Posted in autumn, Forgotten Places	. The leaves may be gone but my Autumn photos are not. 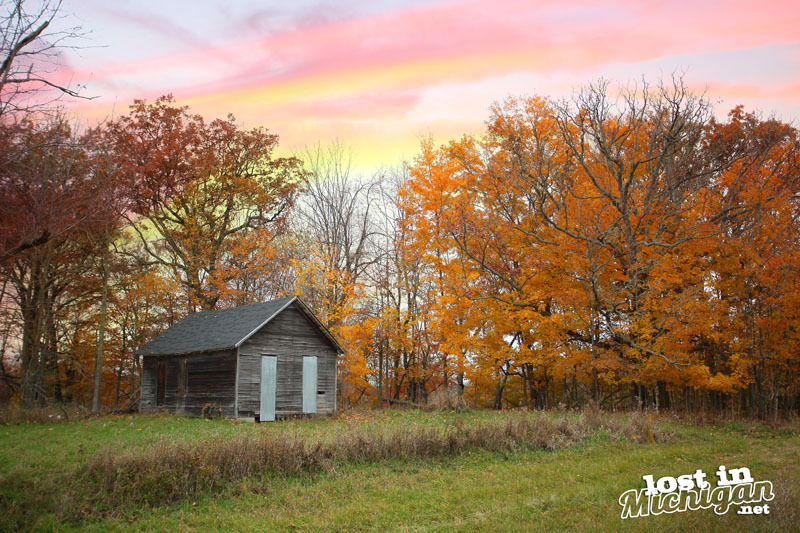 I took this pic of an old shack near the Maple River State Game Area. I wish I knew a little history or anything about it to share, but your guess is as good as mine as to its story. I could not pass up a photo of it surrounded by the golden autumn trees.